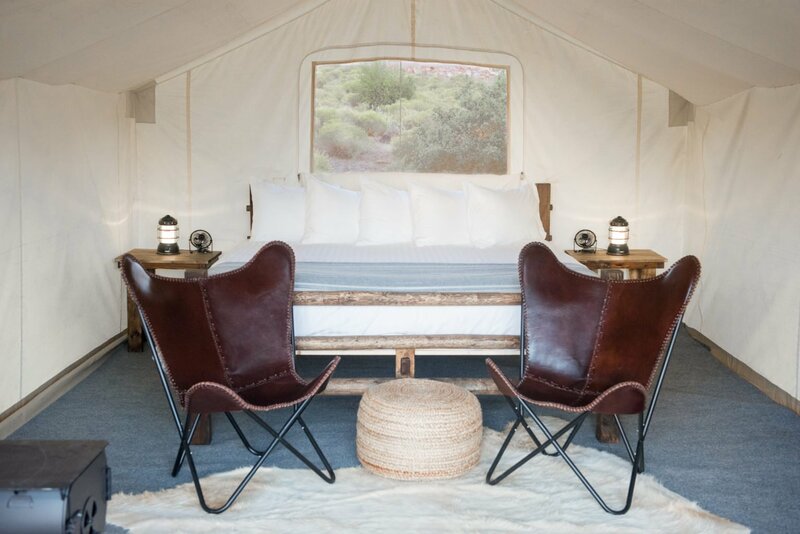 Located on 196 acres on the border of Zion National Park, Under Canvas offers the unique opportunity to explore and enjoy Utah’s desert landscape from the comfort of luxury safari-style tents. 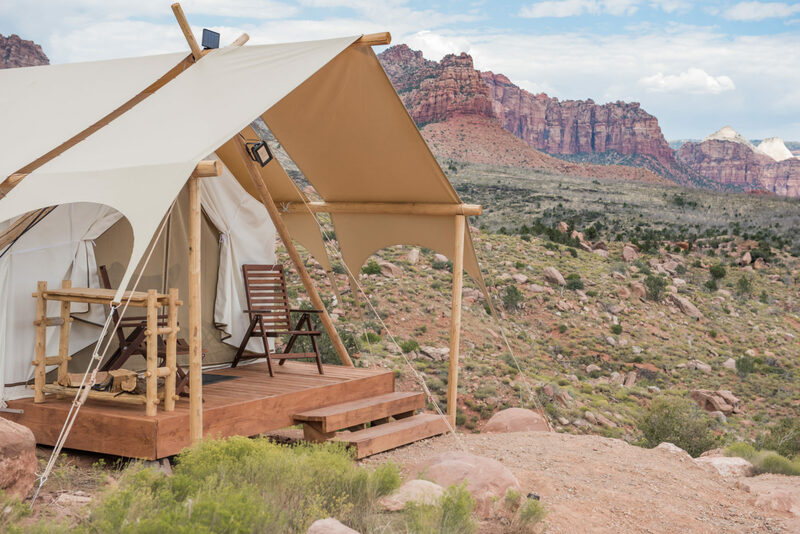 For those who want to experience the great outdoors of Utah, but prefer to do without the hassle of setting up your own camp, Under Canvas provides a memorable ‘glamping’ experience which offers the luxuries of home in the midst of nature. 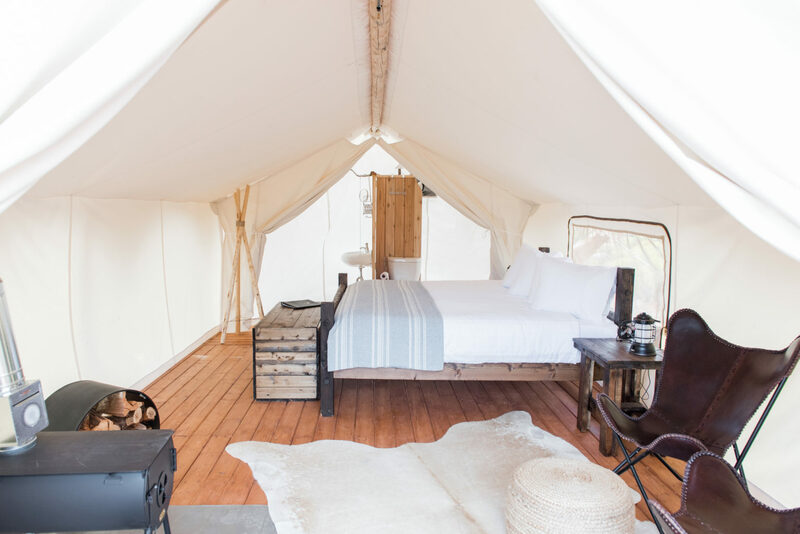 Each tent is decked out in hotel-style furnishings, which includes a plush king sized bed, whilst several tents have their own private decks and bathrooms complete with sinks and flushing toilets. The camp sits on the border of Utah’s famous Zion National Park, so you’ll be just steps away from incredibly picturesque trails, unforgettable outdoor adventures and stunning views of Zion’s famous red rocks. There are endless activities to be had, from hiking, biking and rafting, to wildlife viewing, horseback riding, kayaking, canyoneering and so much more. After a full day’s adventure, there are few finer ways to spend an evening than sitting around a glowing campfire under a sky full of stars.